HELENA, MONTANA: On Thursday, February 18, from 1:00-4:00pm, in the Capitol Rotunda, Native American leaders, spiritual peoples, and legislators representing various buffalo culture tribes will join with Buffalo Field Campaign in a special community event to build solidarity for the sacred buffalo, and honor Montana Governor Steve Bullock for his courageous decision to open year-round habitat for wild buffalo on Horse Butte, urging him to expand the lands where wild buffalo roam and work to repeal MCA 81-2-120, the state law which gives the Montana Department of Livestock authority over wild bison when they migrate into Montana. Governor Bullock’s natural resources advisor, Tim Baker, will join the event to receive gifts and gratitude on behalf of Governor Bullock, who is unable to make it in person. The wild buffalo of Yellowstone country have been under constant attack for decades due to the intolerance and unfounded fears of Montana’s livestock industry. Since the year 2000, when the Interagency Bison Management Plan took effect, more than 6,000 of the country’s last wild buffalo have been killed. 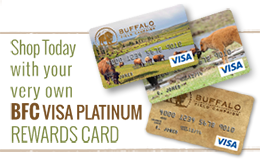 Fewer than 4,500 wild, migratory buffalo exist today, living in and around Yellowstone National Park. This vulnerable population is about to suffer further harm: this week, Yellowstone has initiated capture-for-slaughter operations, and is calling for a fifty-year quarantine plan, actions aimed at appeasing Montana’s cattle industry and which disrespect the sacred relationships and treaty rights that indigenous buffalo people hold with wild, free-born buffalo. Members of the Nez Perce (Nimiipuu), White Clay (Aaniiih), Nakoda, Assiniboine, Blackfeet, Lakota, and Confederated Salish & Kootenai tribes will be present. Speakers include Chief Earl Old Person, Montana Senator Leah Whitford, educator Don Wentzel, Jr., and Sacred Holy Paint Gatherer Jimmy St. Goddard of the Blackfeet Confederacy; Brooklyn Baptiste, former Nez Perce Tribal Council Member; Nikos Pastos of the Confederated Salish & Kootenati Tribes; Goodshield Aguilar, Lakota Nation and nephew of Rosalie Little Thunder; George Horse Capture, Jr. of the White Clay (Aaniiih) peoples, and Mike Mease, co-founder of Buffalo Field Campaign. Montana’s livestock interests and the government agencies who serve them, such as Yellowstone National Park, have been manipulating tribes and their treaty rights into facilitating the destruction of wild, migratory buffalo. The IBMP’s politically-driven population objective of 3,000 wild buffalo will never allow bison to recover as a wildlife species on their native habitat, nor sustain the subsistence needs of the many tribes who hold treaty rights to hunt buffalo and other wildlife in this region. Yellowstone’s fifty-year quarantine proposal aims to drive a deeper wedge between buffalo cultures and allies by setting up a livestock model of domestication and control, which further disrespects treaty rights and the integrity of wild, migratory buffalo. At the community gathering in Helena we will call on the government to fulfill their treaty obligations by honoring the migratory nature of native buffalo so they may restore themselves naturally, reclaim their ecological role, renew their relationship with indigenous buffalo cultures, and offer their gift to healthy grassland and prairie communities. Following this event, we will gather for a community meal, from 4:30-7:00pm, at St. Paul’s United Methodist Church, 80 E. Lawrence Street, Helena.